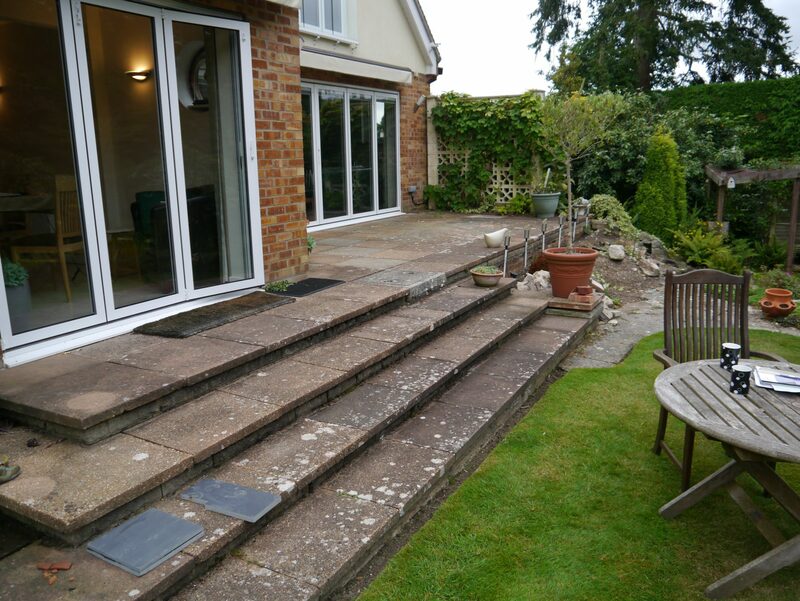 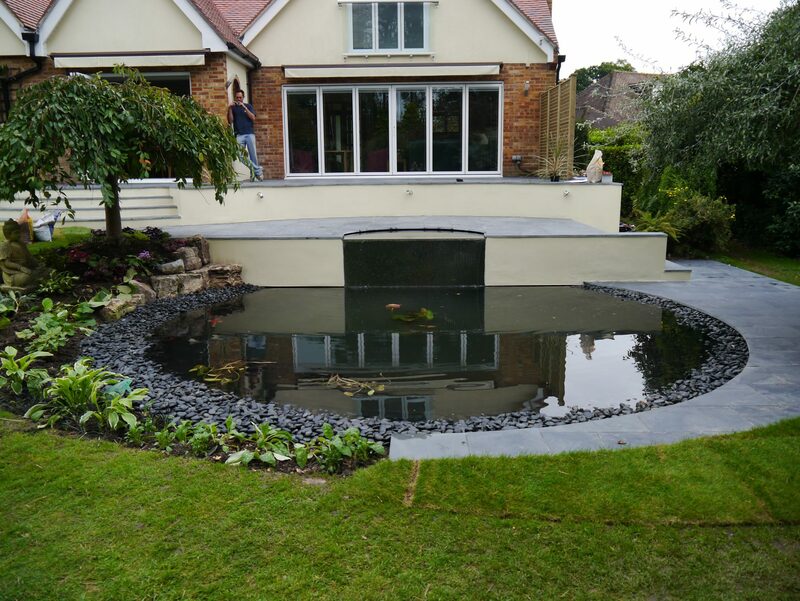 After a modern building extension, we were asked to replace the old patio and pond with a new, complementary patio and pond. 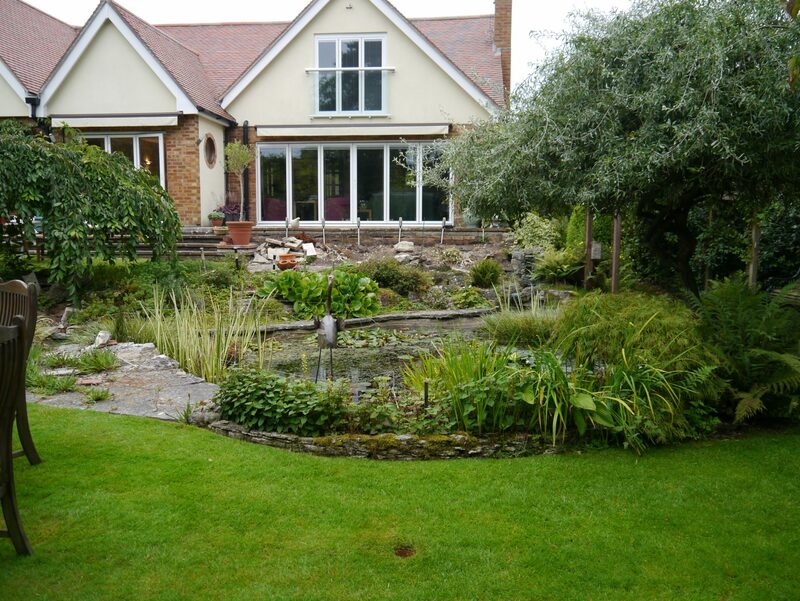 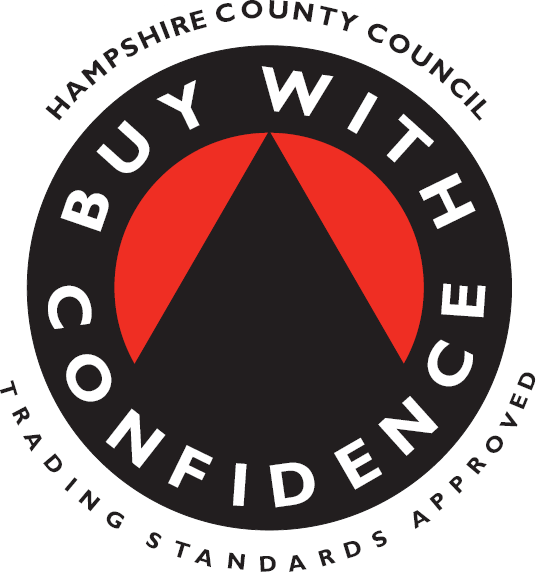 The works were based on a third party design, though it was amended to suit the client. 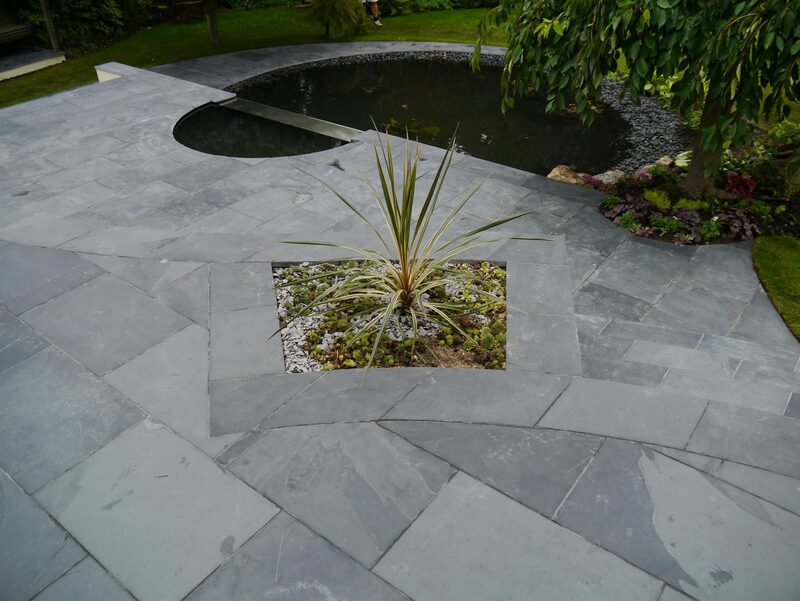 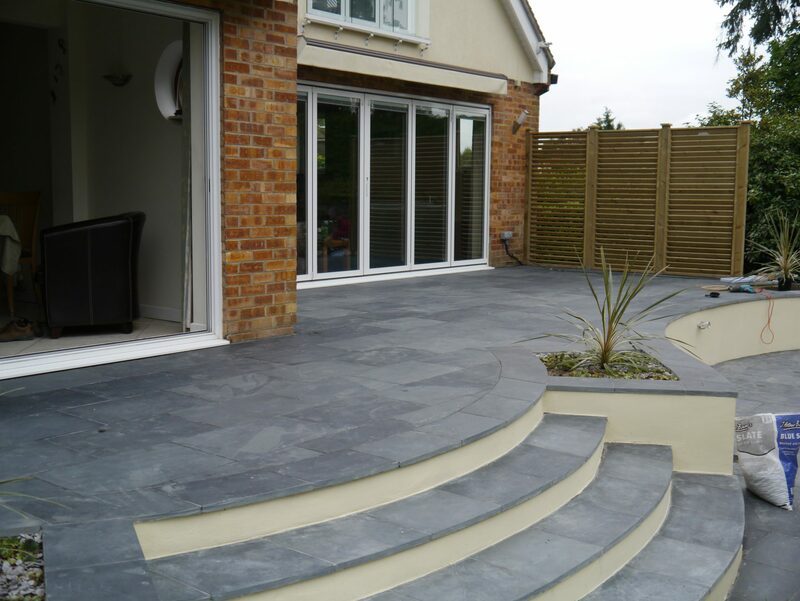 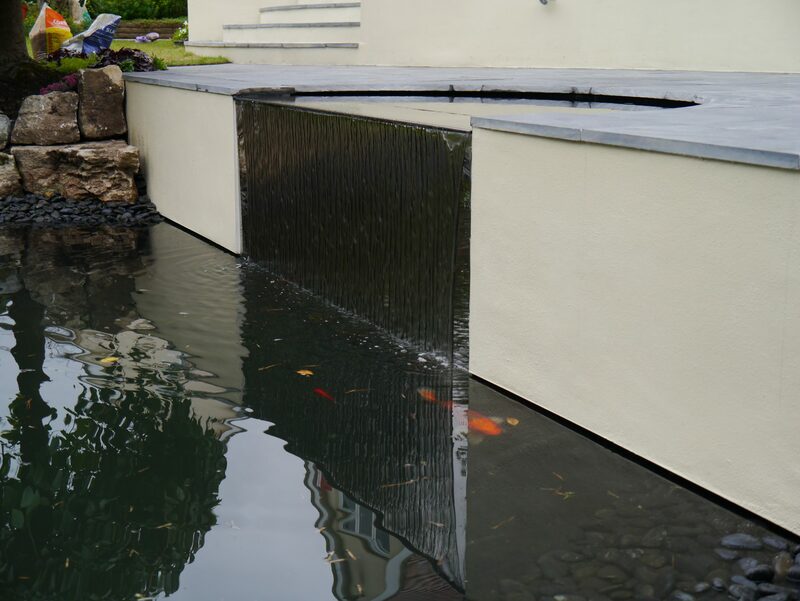 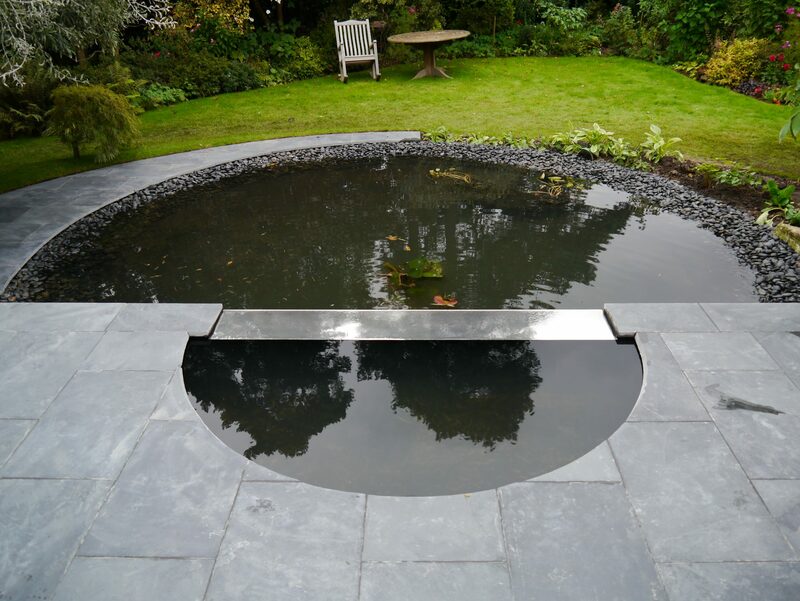 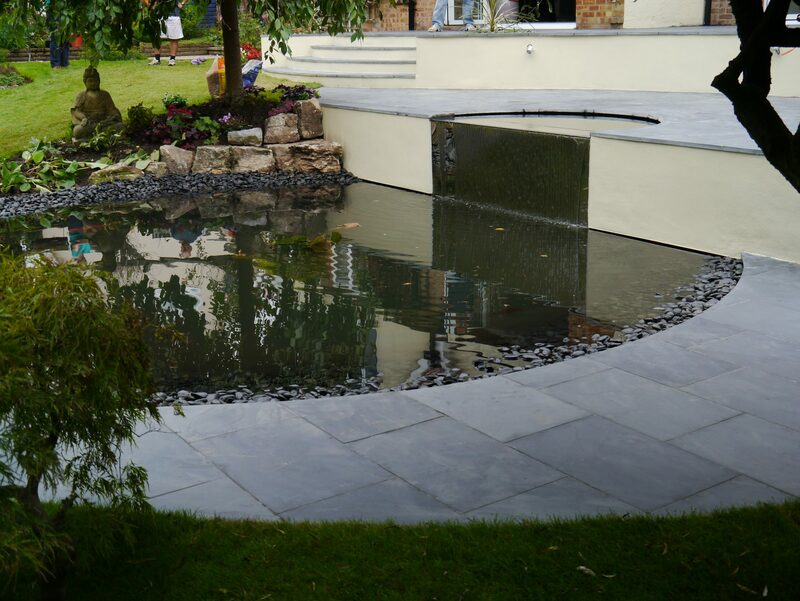 The Brazilian slate paving from CED Stone was complemented with the cream rendered walls and bespoke, fibreglassed pond and stainless steel water feature.